To put it mildly, I have a deeply rooted love of all things chocolate. 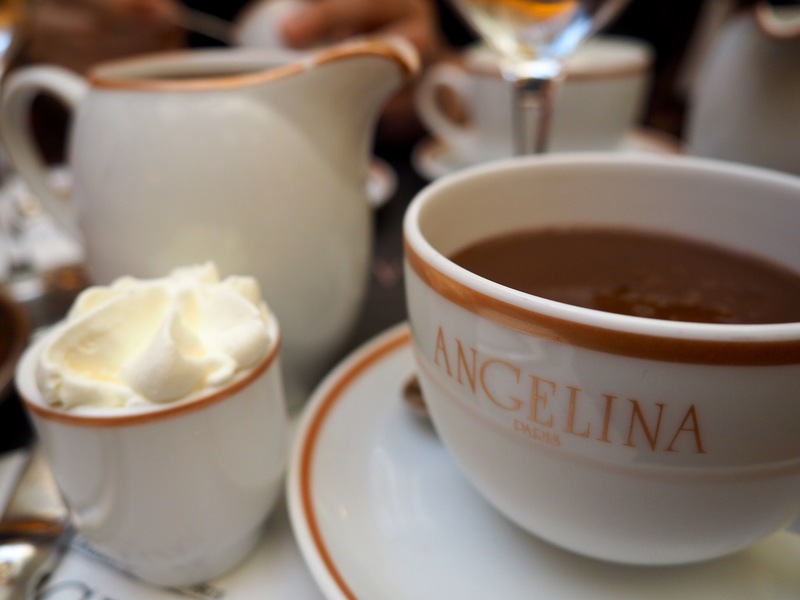 With that in mind, to say that I was excited to sample the rich and creamy chocolat chaud at Angelina’s is a bit of an understatement. Fortunately, this infamous Paris cafe lived up to it’s reputation. There are several locations in Paris, including one in Versailles, but we decided to go to the original on Rue de Rivoli right near the Louvre. This is definitely a major tourist attraction, so we were surprised to see that there wasn’t any wait – we were pretty much able to walk right in and be seated. The space is very charming, though the tables are definitely on the small side and you are essentially sitting shoulder to shoulder with other patrons. The menu is actually far more extensive than we’d figured it would be, and I’d wished we hadn’t eaten breakfast back at the apartment. We ordered a little cheese plate to share, which was lovely, if a bit pricier than we’d become accustomed to. While we came close to splitting a pot of hot chocolate, Eric decided he’d rather get the white chocolate and, since that’s disgusting, we each go our own. Well, I am definitely glad we did because I don’t think I would have been able to share. The chocolate was rich, but not too sweet at all, and comes with a little dollop of fresh whipped cream on the side. So yummy! Dinner at La Jacobine Tucked into a little alley in St. Germaine, La Jacobine is pretty unassuming from the outside, but a window full of beautiful desserts lured us inside the first time we walked past. We (shamelessly) ate at this lovely little bistro three times during our two-week trip. It was both the first meal and last meal we had in Paris, and somewhere in the middle we took our friend Caro here after a day of exploring (she was on a month-long European vacation and was able to swing into Paris for a few days during our trip). 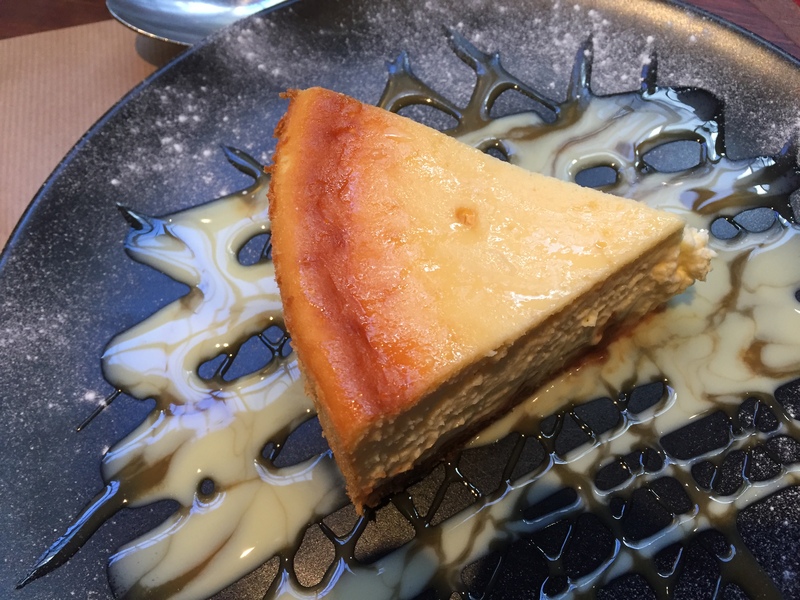 Each experience was better than the one before, and I am still dreaming about the cheesecake as it was maybe one of the best things I’ve ever tasted in my life! When we first started planning a trip to Paris, one thing became very clear: I needed to sample as many macarons as possible. There was certainly no shortage of patisseries at which to do that, but there was one pastry maker that jumped immediately to the top of the pile: Pierre Herme. With numerous locations throughout the city, I’m not ashamed to admit that I indulged multiple times in these delicate little cookies. The first time we had them, we waited in line outside the shop in the 6th. Normally, I don’t have the patience for lines, but my sweet tooth held me firmly in place and we were able to constructively use the time to decide which flavors we would be taking with us (hint: you can’t choose just one). In our broken french, we made our way through the shops in the Marais in search of ingredients for a picnic at home. It was baguette hour–when the boulangeries have set out fresh bread for the evening and Parisians stop in on their way home from work. It was fun to take part in this little ritual, and we even purchased an extra baguette to nibble on our walk back to the apartment. We stopped at a few other places– a fromaggerie for a sampling of cheeses, a charcuterie for ham and a perfect little jar of mayonnaise…Simple sandwiches for dinner never tasted so satisfying. 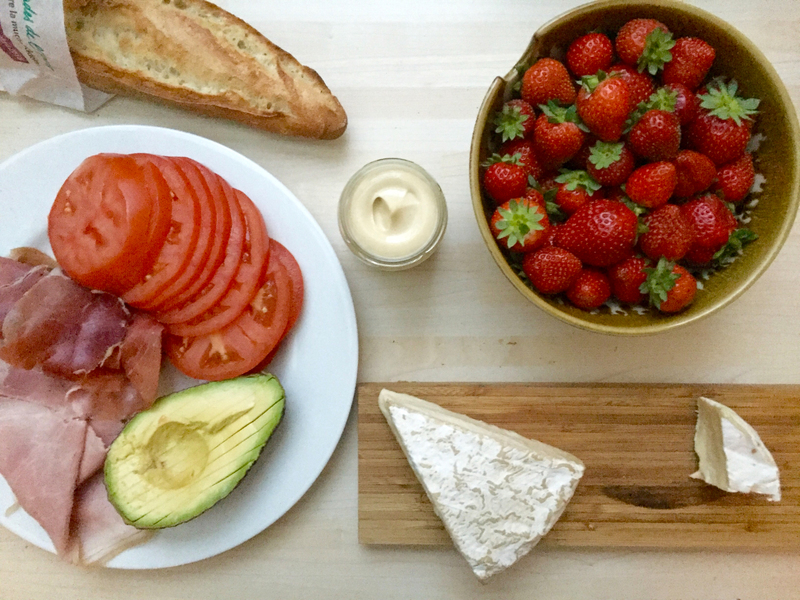 This was perhaps the most quintessentially Parisian meal we had on our trip. Not only because the food itself was delicious, but because, as is the way in the city of lights, we took our time to enjoy each and every course. Sitting outside , we huddled under the heat lamps and talked as we watched people stroll past. Eric finally mustered up the courage to order the steak tartare he’d been wanting to try, and I enjoyed the restaurant’s namesake dish, Boeuf Bourguignon; both were amazing. My meal came in it’s only little cast iron pot and the hearty meat and vegetables stew was perfect for a cold autumn night.